What cause cloudy white aquarium water? What Causes Milky White Cloudy Aquarium Water? Milky white cloudy aquarium water is often just temporary. Poorly rinsed gravel in a new aquarium can cause white cloudiness. Restarting the filters after a shutdown can cause debris and tiny air bubbles to create a white haze. Adding supplements such as bacteria, pH adjusters, or calcium can also create a temporary milky white haze in the water. All of these sources of white cloudiness are usually just temporary, lasting only a few hours to a few days. 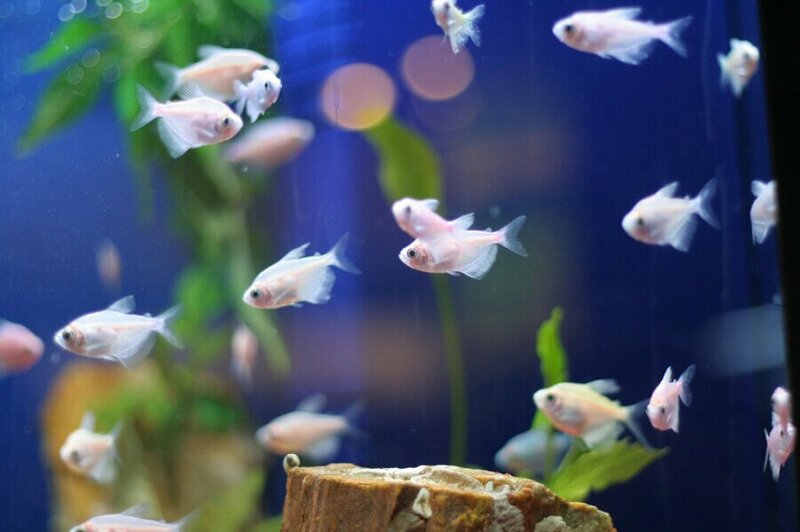 If the cloudiness persists, it is likely caused by bacteria growing at rates that turn the aquarium water milky white. This kind of fast bacteria growth is usually the result of excessive organic waste within the fish tank. The aquarium is new and bacteria are settling. 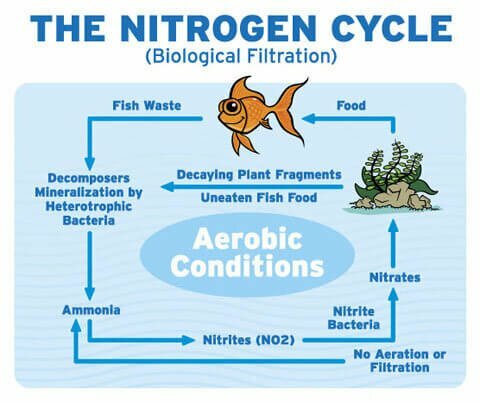 These nitrifying bacteria are needed as they make the water safe for fish by converting highly toxic ammonia to the less toxic nitrate (see ‘The Nitrogen Cycle‘ for more info). 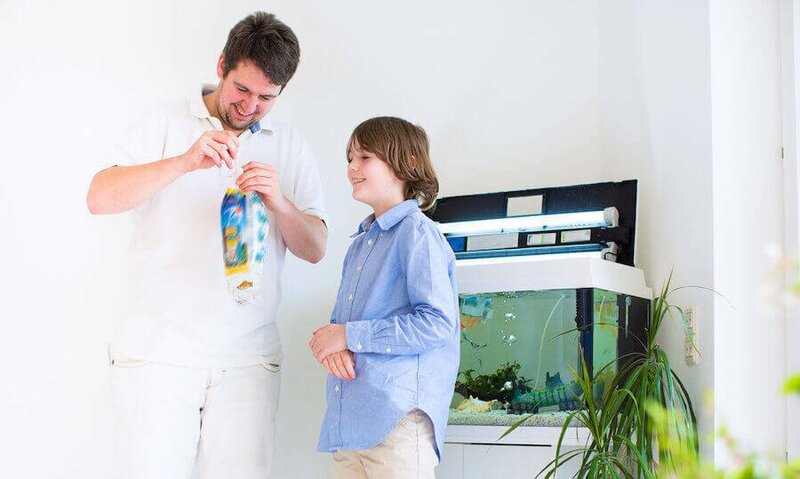 During the initial stages of a new aquarium setup bacteria and waste levels will not be balanced, often resulting in milky white cloudy aquarium water. The bacteria colony has been disturbed by environmental changes i.e pH or temperature fluctuations or by anti-bacterial medication. Re-establishing of the colonies can cause the water to turn white. Larger additions of fish or livestock can cause bacterial colonies to multiply every 20 minutes in an effort to convert the additional organic waste being produced. The re-balancing of the biological balance will require some time. Again the result can be milky white cloudiness. With growing bacteria in the aquarium, oxygen can be depleted. To solve the problem, correct any of the above mentioned causes. Most common are the addition of livestock which causes dangerous spikes on organic waste. 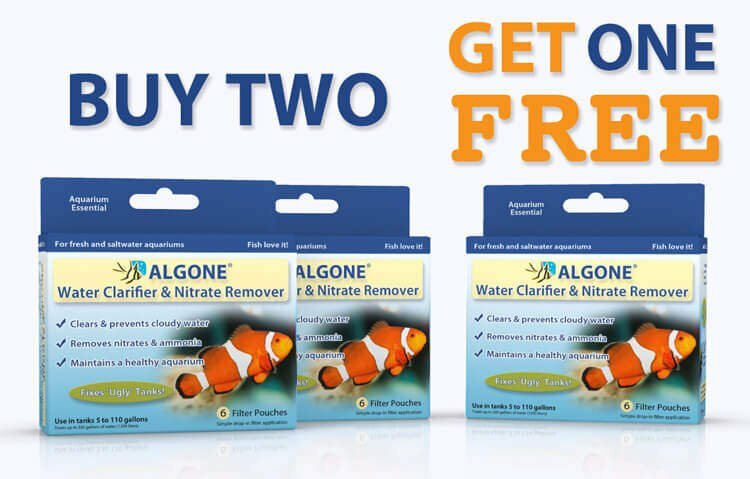 Algone will clear and prevent cloudy water by removing organic and inorganic waste. 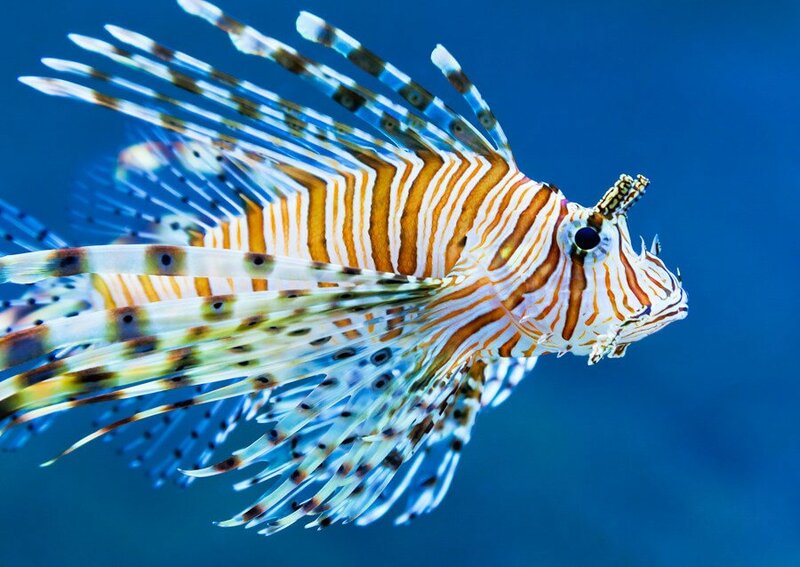 Algone will also minimize ammonia and nitrite spikes and lessen their highly toxic effect on fish and other livestock. How do I treat cloudy well aquarium water? I have had it set up for a couple months and I’m keeping Koi in a 125 gallon aquarium. I was told by Pet Supplies Plus to use Stress Zyme to add bacteria to uncloud and it’s been a week since I used it and the aquarium is still cloudy. If the cloudiness comes from the well water, you should check the system and filters. If the aquarium is cloudy than this is due to either overstocking, or overfeeding. The cloudiness is bacteria growing at rapid speeds, actually pretty much the ones you keep adding through Stress Zyme. You can discontinue SZ and focus on correcting stocking and feeding habits. Algone will certainly help to speed up these efforts. It could be your hot water heater. Run hot water from your faucet into a clear glass and if it’s murky or cloudy the problem is your hot water heater. Discovered this after tearing out my hair trying to solve the problem of cloudy water in my tanks. Since it’s a newly set up aquarium, it’s likely just fine dirt particles from the gravel. The filter should pick it up and clear it within a day, give or take. With lower pH levels especially 6 and lower, the bacteria will cease their function altogether. Once the pH goes up again, a bacteria bloom can occur. as the bacteria try to re-establish the colonies. It is that bacteria bloom that turns the water milky white. i recently bought a 75 gallon aquarium. i filled the tank yesterday and today ist too cloudy. i added aquarium salt and white marvel chips. is it due to adding of those chips or nitrogen cycle process? can you help? Since the tank was just set up, this is likely just substrate particles floating in the water. The filter should remove these and clear the water in just a day or two. Hello I have a five gallon tank that I am setting up for a betta. I thought I washed everything thoroughly before putting my water in with my betta water conditioner. It got cloudy about two days in, and now has been cloudy for 3 days. I have a filter, heater, gravel, and a digital thermometer in it so far, haven’t put decorations in it yet. What should I do? Should I wait it out or just restart? Some conditioners can cloud the water especially if they claim to have bacteria in the mix. You can wait this one out and read up on the following in the mean time. Hi i have a 15 gallon aquarium it has not been cycled and i added new fish. The fish for what i see is ok and it is eating. But the water is cloudy. What should i do? Just feed sparingly and perform a modest water change of about 15% of water every 5 – 7 days. This should keep nutrients lower and ease the effects of the aquarium break-in on your fish. Once sufficient beneficial bacteria are established, the tank should clear up on its own. 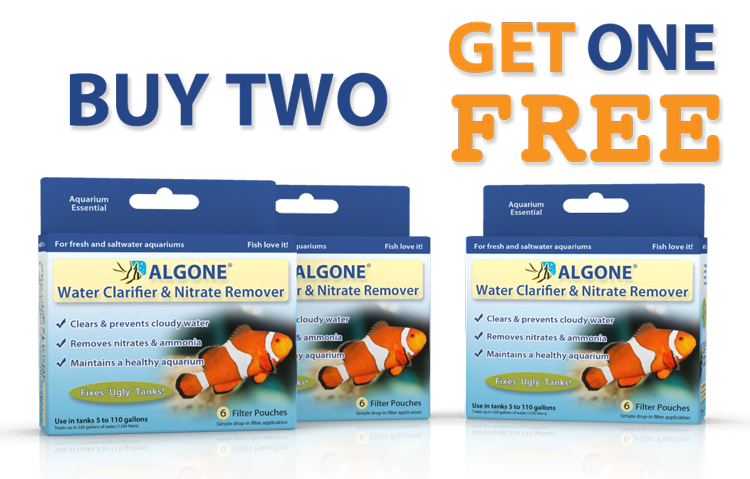 Otherwise, consider an aquarium water clarifier such as Algone. I have a brand new 65 gallon Aquarium. I rinsed off my gravel and set everything up for my fish. It is still foggy white, Is it my gravel or just that it is new? I have a 54 gallon tank. It’s been set up for bout 3months now. I decided to do a GLOW FISH TANK. It was touch and go for awhile …getting the water just right. Anyhow I have been able to add fish over time but now my water is very cloudy…took the water to have it checked and all was good except the ph was a little acidic but said not dangerous so we put the ph adjuster in it…please help ,,,do I just let it run it’s course…. Bacteria that grow ahead of the beneficial bacteria can grow at speeds that turns the water cloudy. This is referred to as a bacteria bloom. No danger for as long as the aquarium is well oxygenated, as most are just by water surface movement. 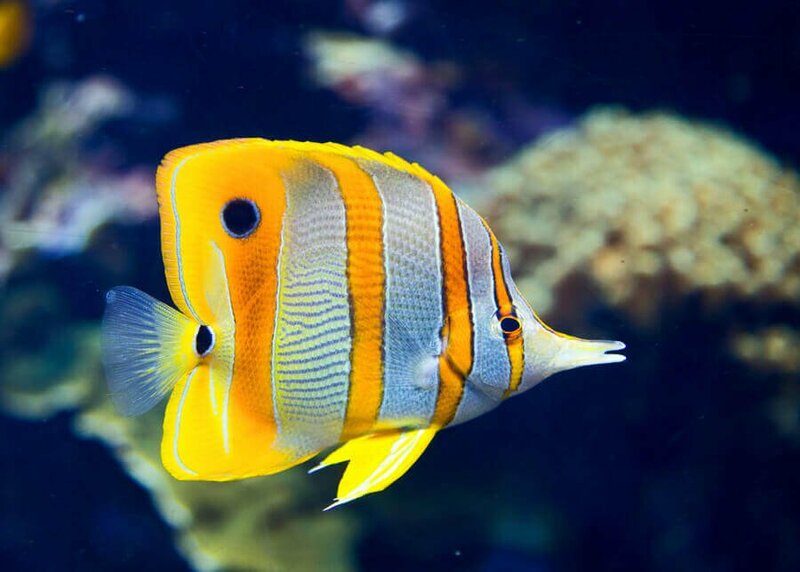 Bacteria blooms can occur if, the aquarium is newly set up, fish have been added, the bacteria got disturbed by either to intense cleaning, filter changes, changes in live stock, or medication (antibiotics). 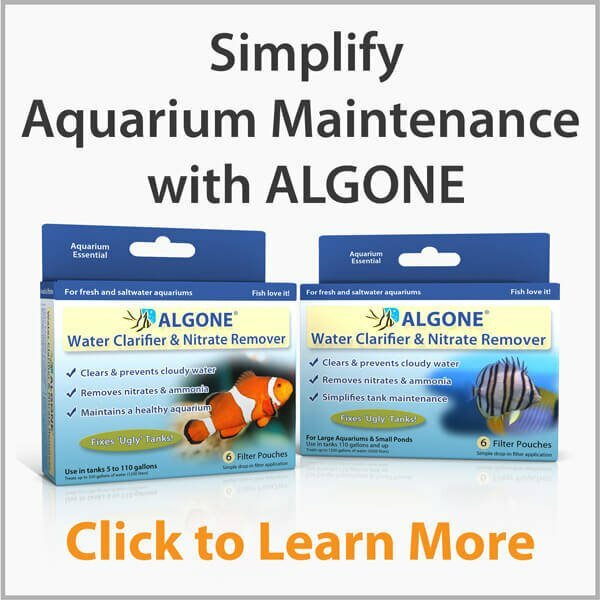 You can use Algone to speed up the process of clearing the water, or wait it out. I have a 30 gallon tank i recently did my yearly full clean of the tank and cleaned the rocks its murky white, and its getting worse. The water is more white after a fewe days. This sounds like a bacterial bloom, which is not uncommon for newly setup aquariums. 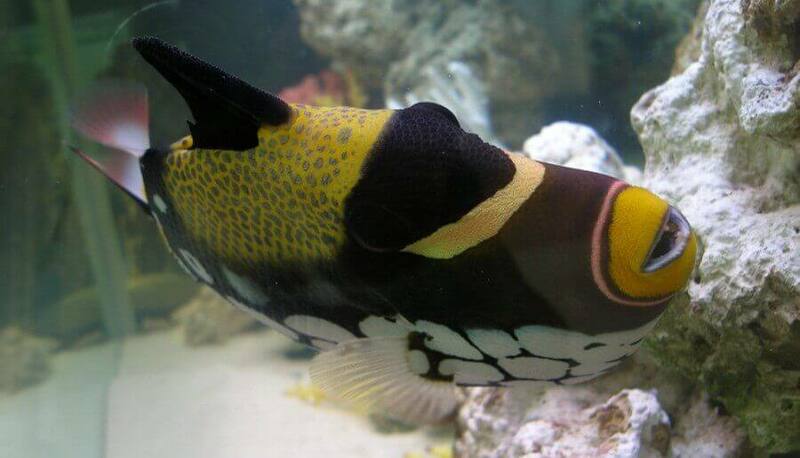 Since you did a full cleaning, your tank will have to re-cycle, and you may experience what’s called New Tank Syndrome. In any case, feed sparingly and avoid any big water changes. Your tank needs a chance to balance and any big changes will only delay that balancing. With time, the water should clear up on its own. If the problem persists, add Algone to your filter. 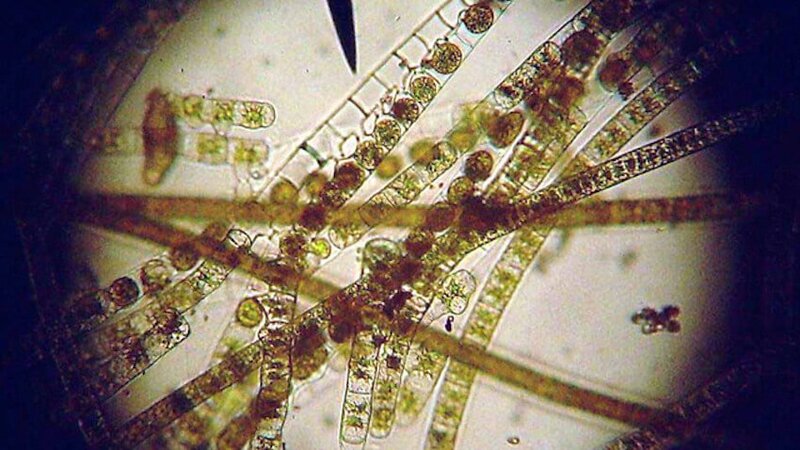 That may indicate you are experiencing an algae bloom. I have made a 20 gallon aquarium before 2 days ago and yesterday when I added water to my aquarium the water remains cloudy. I have very less amount of gravels they are unclear. I have cleared the gravel but water remains hazy and I have only 2 fish, one red cap and koi carf, they also have produced lots of waste in this new aquarium. Please help me to remove cloudy water. The cloudy aquarium water is likely just particles from the gravel that haven’t yet settled, or you are already experiencing a bacterial bloom. 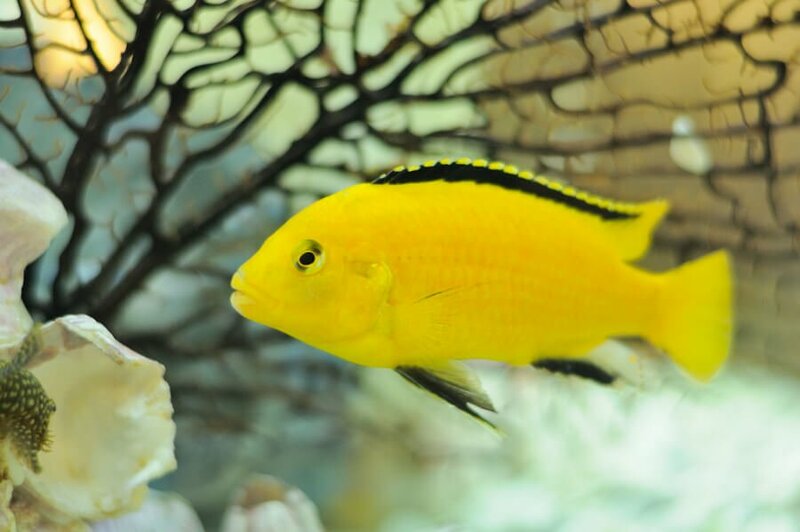 A bacterial bloom is caused by an imbalance of nitrifying bacteria in the fish tank. This is not unusual for a new aquarium. 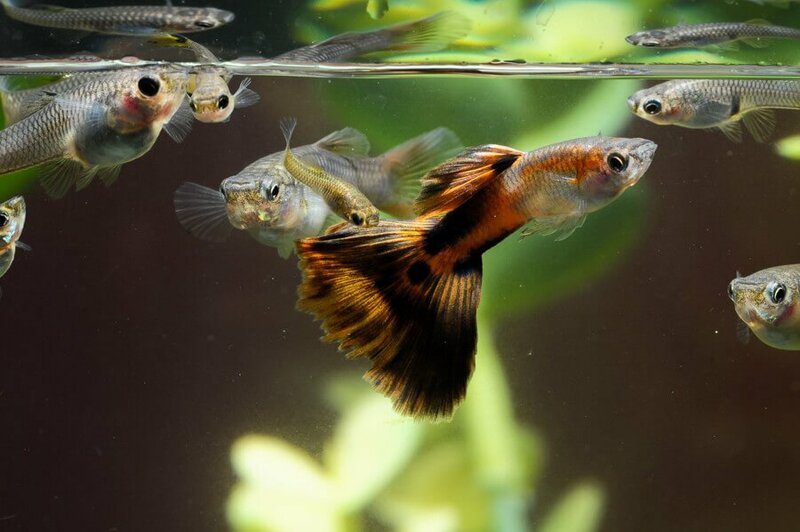 Avoid any big changes such as large water changes, or the addition of any new fish at this time. This should clear up as the aquarium establishes a healthy biological balance. Also see ‘New Tank Syndrome‘ for more information. Yellowish water usually indicates the need for activated carbon. 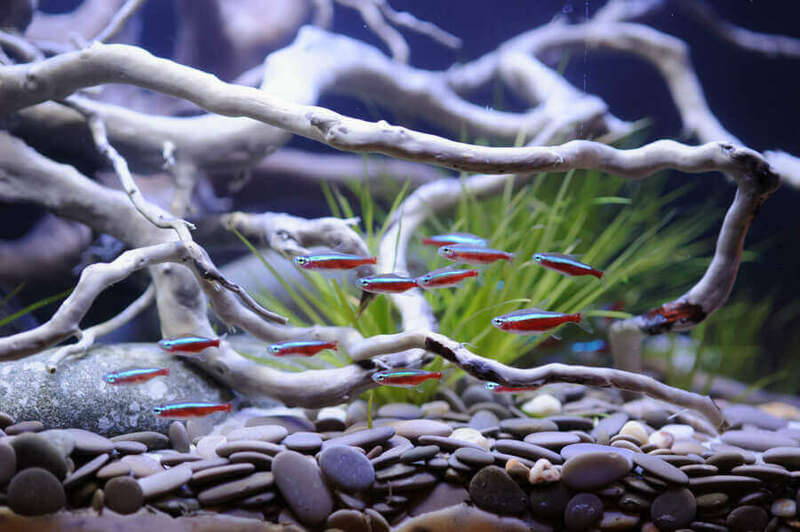 Check out our article about chemical aquarium filtration. My bet is that adding, or changing the carbon in your filter will clear up the aquarium water. Do you have a drift wood in there? That might be the reason why the tank is yellowish.